Encapsulating Kaiteki Hotel | Hello Saigon! ← Albetta Kids Opens Its District 7 Store! One of my frustrations living in Ho Chi Minh City is not being able to try the different accommodations in the city. I still feel very much like a tourist and I sometimes miss the Renaissance Riverside or the Park Royal. But I am most curious about the backpackers district in Pham Ngu Lao. 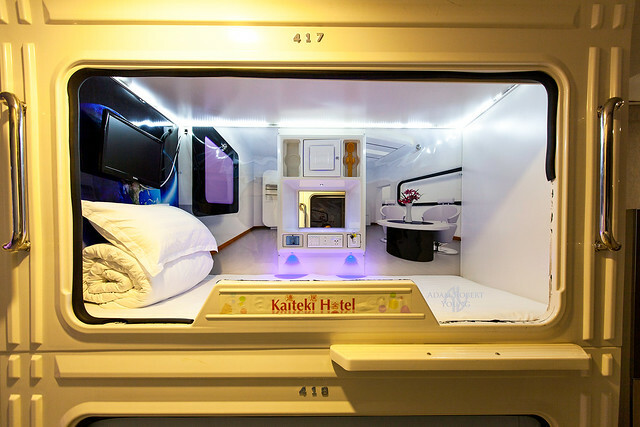 An opportunity presented itself when the most talked about capsule hotel, Kaiteki agreed to an overnight stay. I tapped photographer, Adam Robert Young if he could do the story and he said yes! Sharing with you Adam’s experience. Bucket lists – we’ve all got one whether we admit it or not – those things you really want to experience before you kick it. I’ll admit mine is a long one, and just recently I managed to tick one more item off. Right up there with standing over the ruins of Machu Picchu high in the Peruvian Andes, or taking one of those iconic photographs that becomes as recognisable as Steve McCurry’s Afghan Girl, sleeping in a capsule hotel was one of those things that I just had to experience once in my lifetime. I imagined I would most likely check that off the list on a visit to Japan sometime in the future, but I never expected to do it right here in Ho Chi Minh City! So when the opportunity to stay a night in Kaiteki Hotel here in Saigon arose, I jumped at the chance! Having read some less than glowing reviews of the place, I have to say I was pleasantly surprised by how great my experience was at Kaiteki. It was just after 5pm on a Thursday afternoon when I checked in. The girl behind the counter was welcoming and made me feel at home right away. She called an attendant who gave me a pair of slippers from my own allocated cupboard opposite the reception desk, along with a small pack containing a towel, toothbrush and cup to use during my stay. Already something magical had happened: I received slippers in an Asian hotel that fit my large Western feet! That never happens! Normally I have to squeeze my toes into the front and walk around on tippy toes so that my heels that extend beyond the end of the shoe don’t touch the floor. That may not seem like a big deal to some, but after over ten years in Southeast Asia, I was impressed beyond words. The attendant took me up to the mens’ floor. At Kaiteki, each floor is either for men or women only, in a similar way that many hostels have women only rooms. 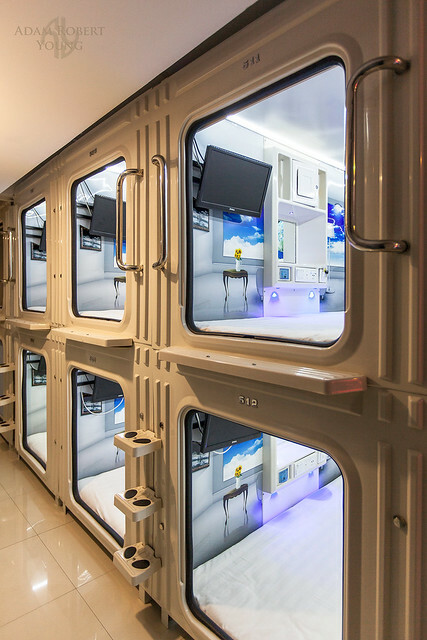 As I walked in, I saw that there were two groups of capsule rooms. The first were the economy capsules, and beyond them were the business capsules. The business capsules were a little more roomy than the economy ones, but both had more than enough room to move and looked clean and comfortable. Apart from a little wear and tear on the rubber strips that line the entrance to the capsules, they were in good condition. I’ll admit that before arriving at Kaiteki, I had been a little concerned about the safety of my possessions, as having an expensive camera stolen is not an experience I’d like to repeat. 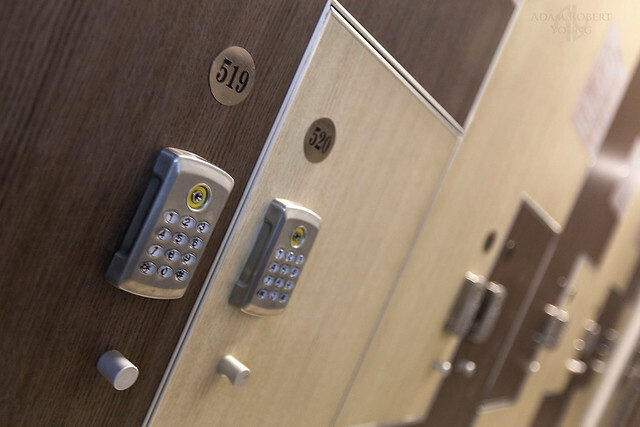 You can imagine my relief when I saw the large lockers for each guest, complete with a digital lock that can only be opened with a PIN number set by the guest. 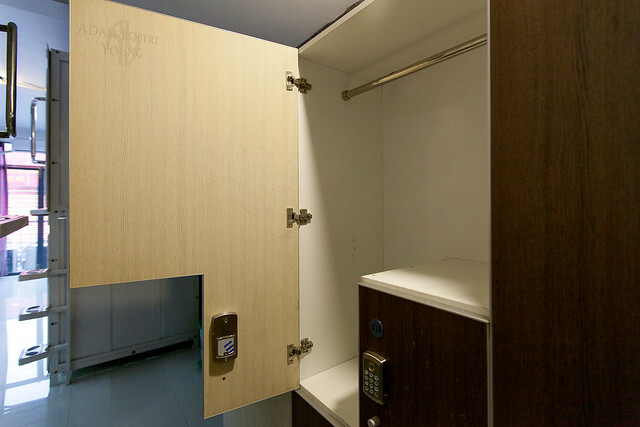 The lockers had plenty of room for clothes and moderate-sized travel cases, and I could have even hung a suit or two in there if I was a business traveller on a budget. My other fear was one that has led to me avoiding cheaper hostel rooms for years: the shared bathroom. 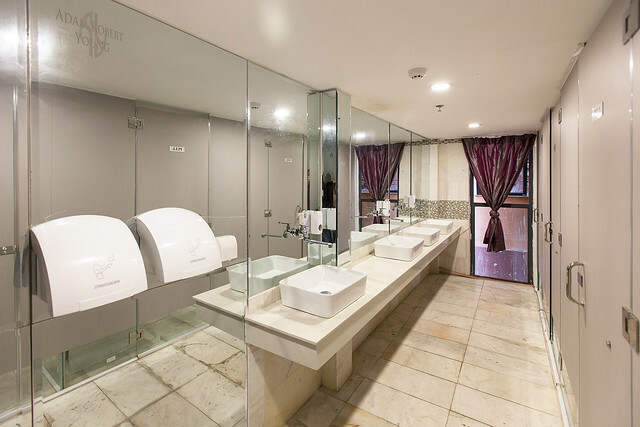 Bad experiences from my travels back in the day have led to me insisting on booking rooms with ensuites regardless of what I have to give up to pay the extra dollars – I still have nauseating flashbacks from the surprises left by fellow travellers in those shared bathrooms! I cannot tell you just how relieved I was to see how clean the bathroom was. 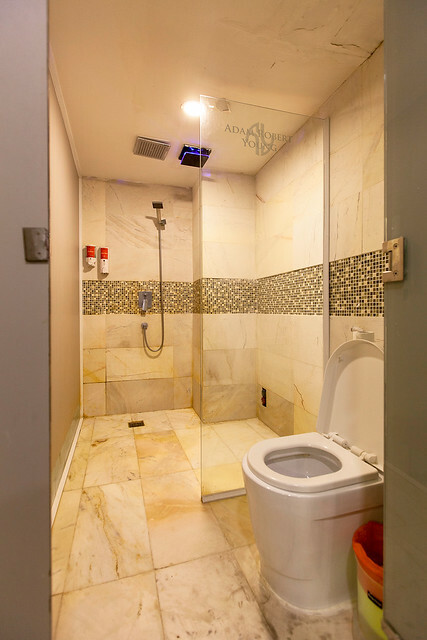 Not only that, but each shower cubicle was basically a large room – both spacious and private. By this time, I was well and truly won over, especially when considering that the cost of one night in a Kaiteki capsule is just $8! If I had to choose between a bed in a shared dorm room and this, it would be a no-brainer! But perhaps I was being too hasty – I still hadn’t actually tried to sleep in the capsule yet. That would be the true test! I locked up my camera in the locker and headed out for dinner. I’ve gotta say that as far as location goes, Kaiteki is a ripper! It’s located at one end of Bui Vien Street – restaurant heaven! 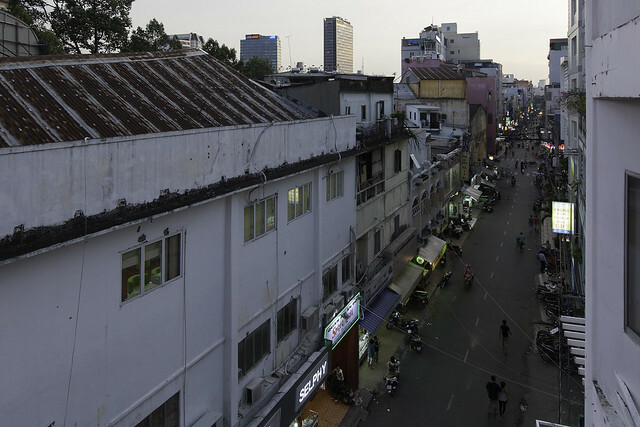 It’s the one street in the whole of the city where you can find virtually any cuisine you like at very reasonable prices – from Indian or Mexican to traditional Vietnamese fare – and it’s a great place to socialise, with all manner of bars, cafes and nightclubs all in one convenient location. For travellers, Pham Ngu Lao Street which runs parallel to Bui Vien has countless travel companies for booking day trips or transport to other cities or even into Cambodia. Bui Vien Street from the 4th floor of Kaiteki Hotel. With a full belly I came back to settle into my capsule. I was happy to find that there was more than enough room for me in the business capsule, with an extra 30cm or so beyond my feet when I stretched out (I’m just over 6 feet tall). 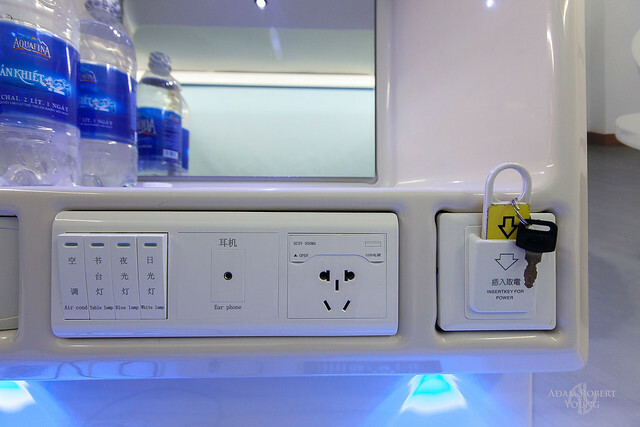 Initially I thought I wouldn’t be able to make use of the free wifi for very long, but then I noticed the control console with all the light switches and electrical outlets also had a built-in USB charger port (although I may not have figured that out if I couldn’t read the Chinese that the lift-up cover was labelled in). 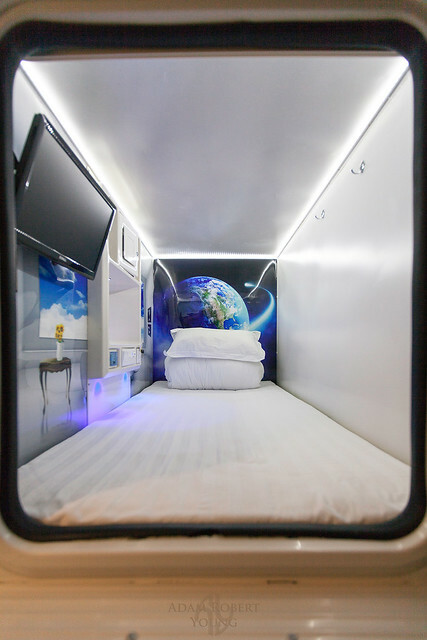 So after a quick chat with the guy in the capsule next to mine, I wound down the blind that sealed off my capsule from the rest of the room and set to work watching free pay TV and surfing the net until my eyes grew heavy and I drifted off to sleep. The next morning I got up and went to take a shower. The good thing with the majority of guests being Chinese and Japanese is that they typically prefer to shower at night, so the bathroom was deserted in the morning (actually it was pretty empty the previous evening also). I’m a man who isn’t easily pleased when it comes to showers, but I actually found it hard to get out! The water was nice and hot and the pressure was perfect (first shower as you enter the bathroom if you stay on the 4th floor, although I assume they’re all the same). Feeling refreshed, I checked out and had a bowl of pho in the alleyway next to the hotel (good authentic street pho). If I was here on holiday, I could have walked for about 5 mins to Ben Thanh Market – more or less the central hub of Saigon – or checked out nearby sites like the Mariamman Hindu Temple (also about five minutes’ walk). If I’d been craving for some McDonalds (as you may after a couple of weeks of rice and noodles), that’s just three minutes away on foot, right opposite the park where you can watch locals doing morning exercises. But me, I just jumped on a bus back home. I felt happy not only that I’d checked off one more item from that bucket list, but that I’d actually had a really relaxing time doing it. 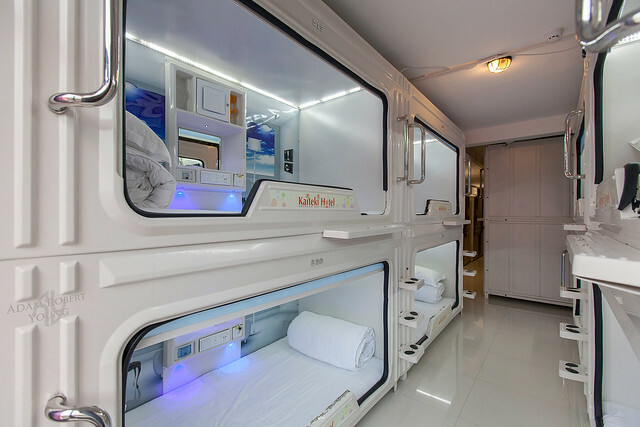 If I were travelling alone to Saigon in the future, I’d definitely consider staying in Kaiteki again – no longer for the novelty, but for the fact that it’s actually great cheap accommodation! 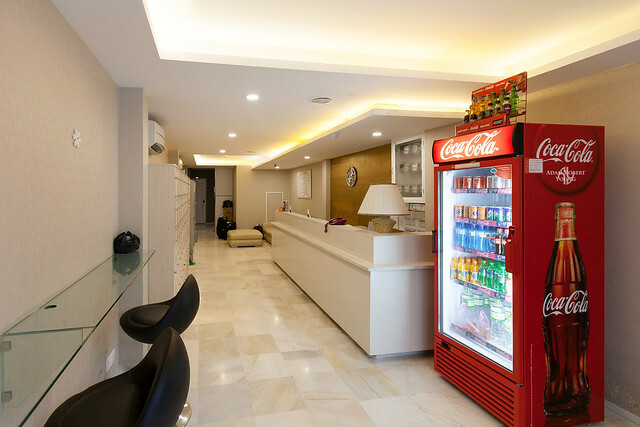 This entry was posted in Exploring Saigon and tagged backpackers district, budget hotels, Ho Chi Minh City, Kaiteki Hotel, Pham Ngu Lao, Saigon, Vietnam. Bookmark the permalink.